The past few years have been marked by numerous seismic events, some of dramatic magnitude; aside from the huge 9.1 temblor in Japan, the world was also shocked by the pair of massive earthquakes that rocked the Indian Ocean on 11 April 2012. However, as geophysicists warn, this may only be the beginning – the birth of a new plate boundary. The undersea earthquakes measured magnitudes of 8.6 and 8.2 and triggered tsunamis throughout the Indian Ocean. The damage was somewhat smaller than what you’d expect, but now, researchers claim their effects may be more far-reaching than first believed. 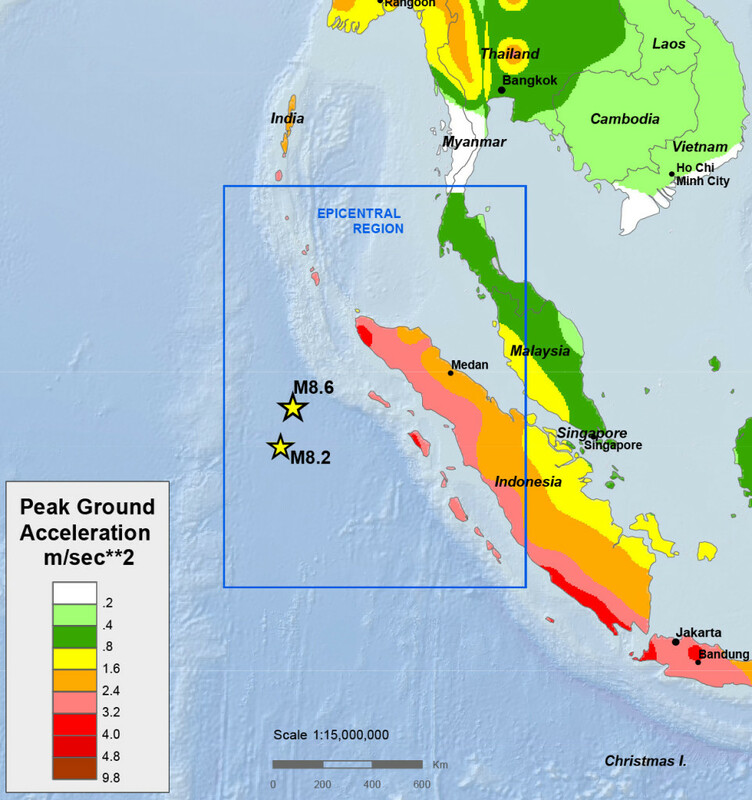 Basically, the earthquakes were caused by accumulated geologic stress breaking the Indo-Australian plate apart; when they took place, they released energy across numerous faults and unleashed aftershocks for almost a week afterwards. Ever since the 1980s, researchers believed the Indo-Australian plate is breaking apart, but until now, there hasn’t really been any conclusive evidence to support those claims. The April 11 earthquakes represents the most spectacular example of the process in action, as Matthias Delescluse, a geophysicist at the Ecole Normale Supérieure in Paris explains: “it’s the clearest example of newly formed plate boundaries,” he says. According to generally accepted theories, the internal stressing and deformation of the Indo-Australian plate began some 10 million years ago; while the plate moved northwards, the Indian part was stopped by the Eurasian plate and dove under the Himalayas, rising them. However, the Australian part forged ahead, creating the tension which is breaking the plate apart today. “The 2004 and 2005 earthquakes by themselves would not have caused this other earthquake. There had to be other stresses”, he says. Most earthquakes form at the boundary of tectonic plates, as you can see from the second picture above; one plate drifts beneath the other, creating massive earthquakes – this is called subduction. However, this is not the only form of contact between plates: plates or portions of plates can also slip by each other, horizontally, resulting in what is called as ‘strike-slip’ earthquakes. Typically, these earthquakes are smaller and less dangerous (though dangerous as well). However, the first of the two earthquakes defied all expectations, being the largest strike slip earthquake on record, and one of the biggest to occur away from any plate boundaries. Another study drew some pretty interesting, but worrying conclusion: the earthquake was created by accumulated stress throughout the plate, and the release of this stress created one of the most complex fault patterns in the world – something you really don’t want to hear if you live in that area. Typically, an earthquake like this shakes along a single fault, or maybe two if it’s a really big one; but this one shook no less than four faults, one of which slipped more than 20 meters. 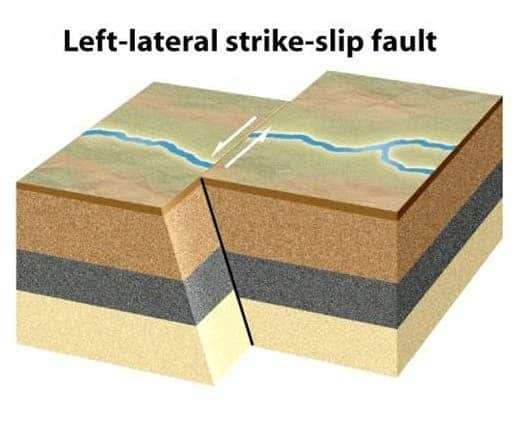 While this pattern has been described partially in previous work, nobody has analyzed slip amounts in so much detail: Beroza says that Lay and his team “do a splendid job of picking apart this very important earthquake” in their paper. So not only was this earthquake unique due to its high magnitude and slip, its aftershocks are also special. In yet another study, researchers found that for the six days following the temblor, aftershocks with magnitudes bigger than 5.5 occurred 5 times more often than normal. “Aftershocks are usually restricted to the immediate vicinity of a main shock,” says lead author Fred Pollitz, a geophysicist at the US Geological Survey in Menlo Park, California. However, this changes the general belief of how soon and how close aftershocks can occur after earthquakes, raising the importance of this particular earthquake even more. “Every earthquake is important to study, but this earthquake is rather unique,” says Hiroo Kanamori, a seismologist at the California Institute of Technology in Pasadena.